Adelaide Gay is a professional goalkeeper. 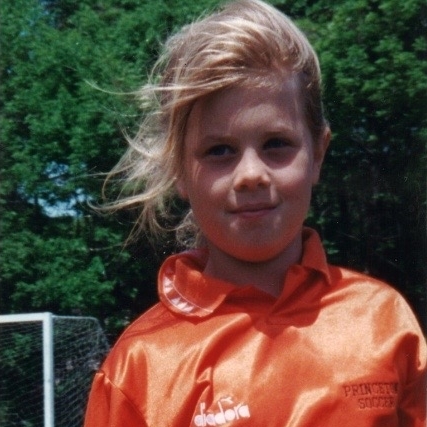 Originally from New Jersey, Adelaide began her soccer career with the Princeton Stampede, spent the majority of her youth playing for the PDA Power, and initially chose to attend Yale University. After a year and a half, she transferred to the University of North Carolina where she won a starting position and an NCAA National Championship in 2012. Professionally, she has played with the Portland Thorns and the Washington Spirit in the NWSL, winning the Championship in 2013 with the Thorns. In 2014 she led the Washington Spirit Reserves to the W-League Final after an undefeated regular season, and in 2015 she helped Kvarnsvedens IK win the Swedish Elitettan and earn a spot in Damallsvenskan for 2016. Most recently, she played the 2017 season with IBV, winning the Icelandic Cup. Off the field, Adelaide enjoys reading, writing and coaching. She recently launch a company called Duktig Brand whose first product is a soccer-specific notebook/planner called the Trainer (check it out at duktigbrand.com).